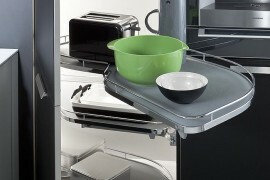 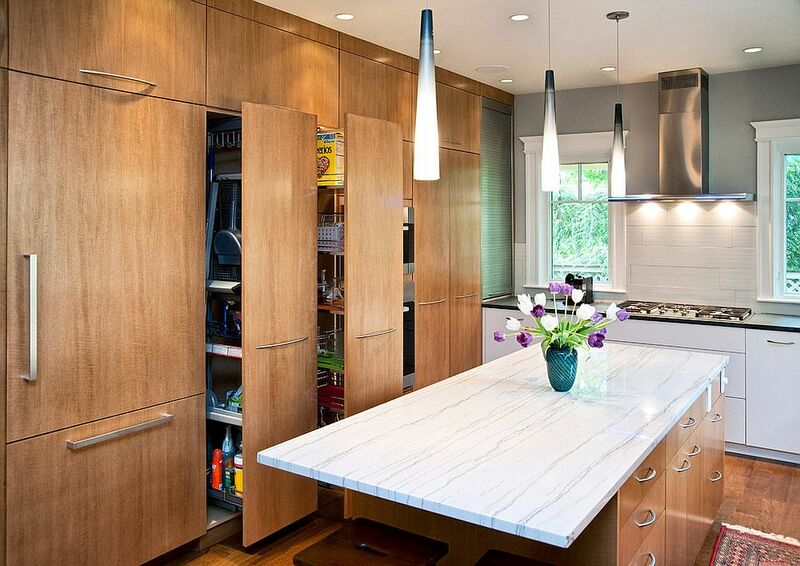 The modern kitchen is a space that demands plenty in terms of both ergonomics and aesthetics. 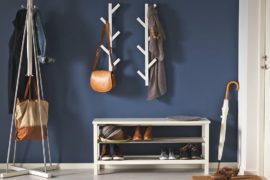 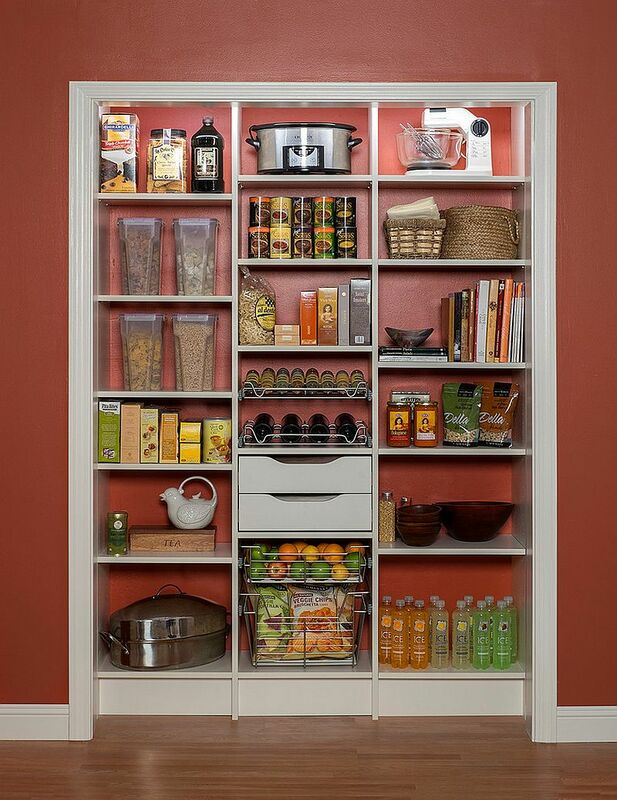 You need to combine storage with smart displays and the right hues to find that perfect balance between the two. 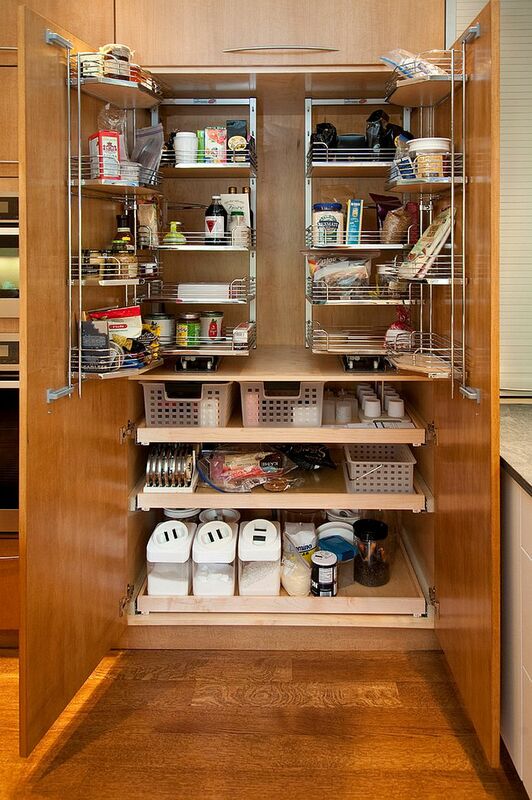 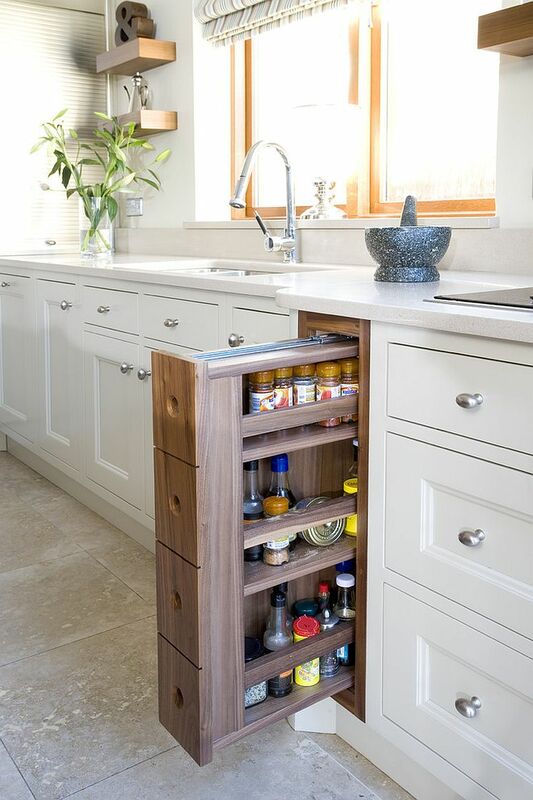 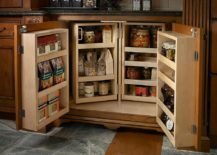 There are plenty of ways in which you can expand your kitchen storage options. 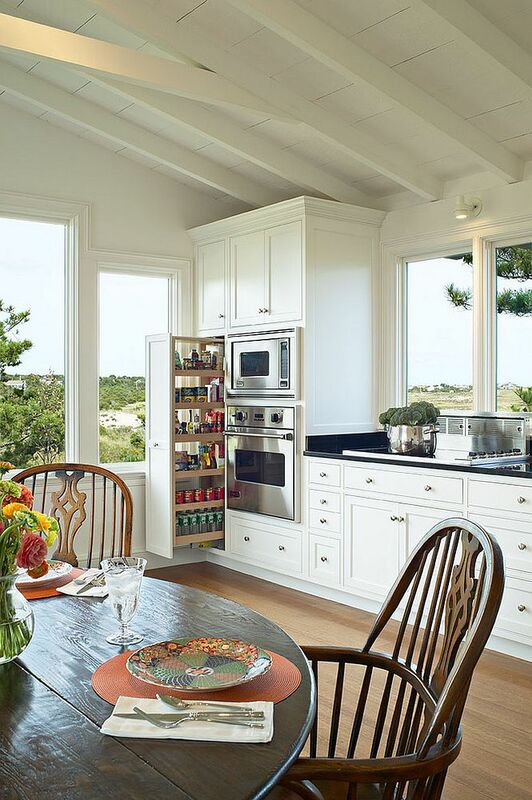 Some like the glass-door cabinets and open shelves provide more transparency and create light, cheerful atmosphere. 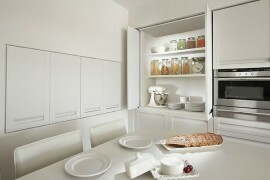 Others like the cabinets with wooden doors and kitchen island units place practicality ahead of aesthetics. 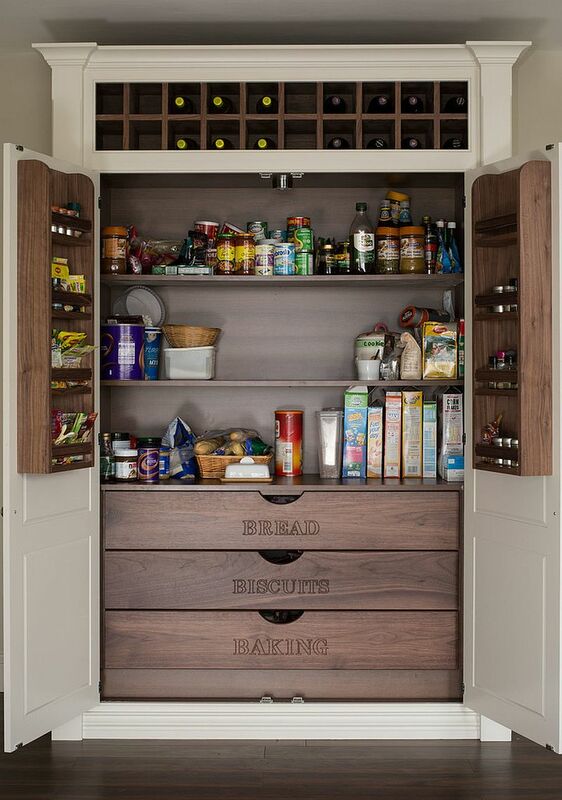 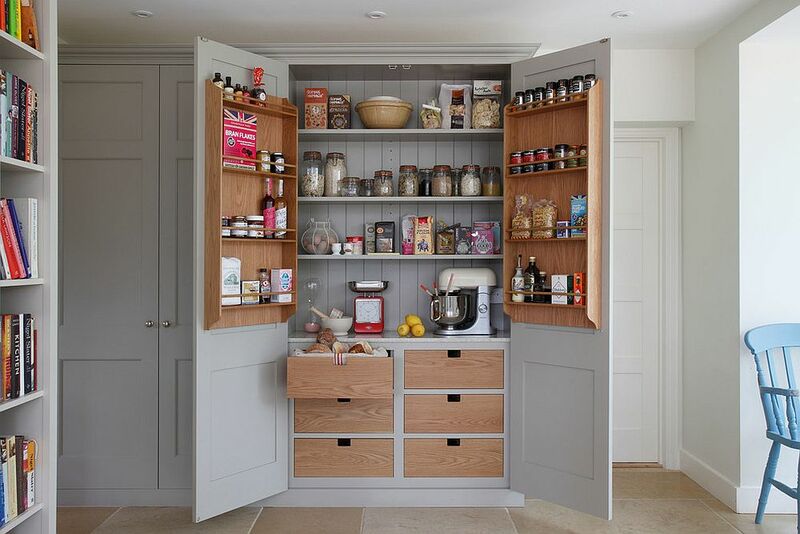 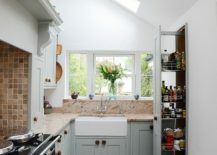 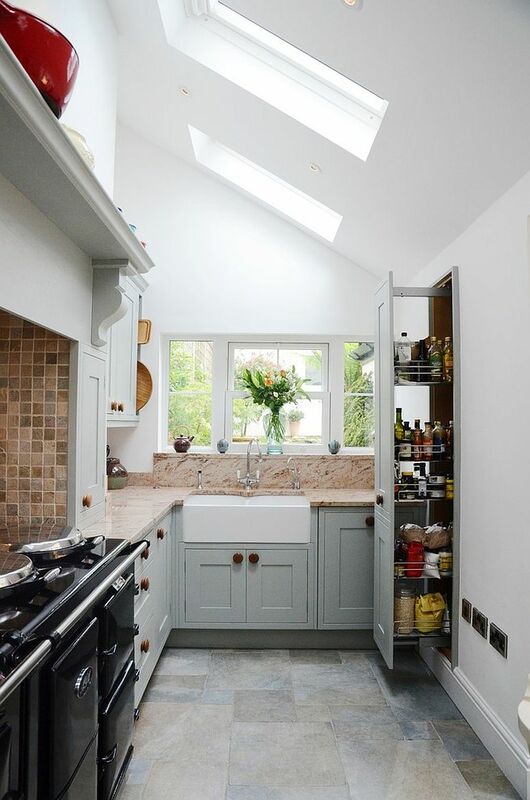 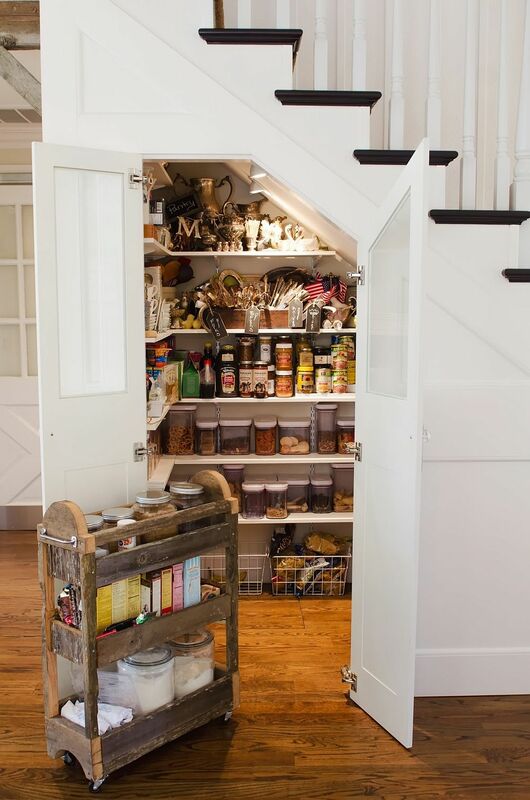 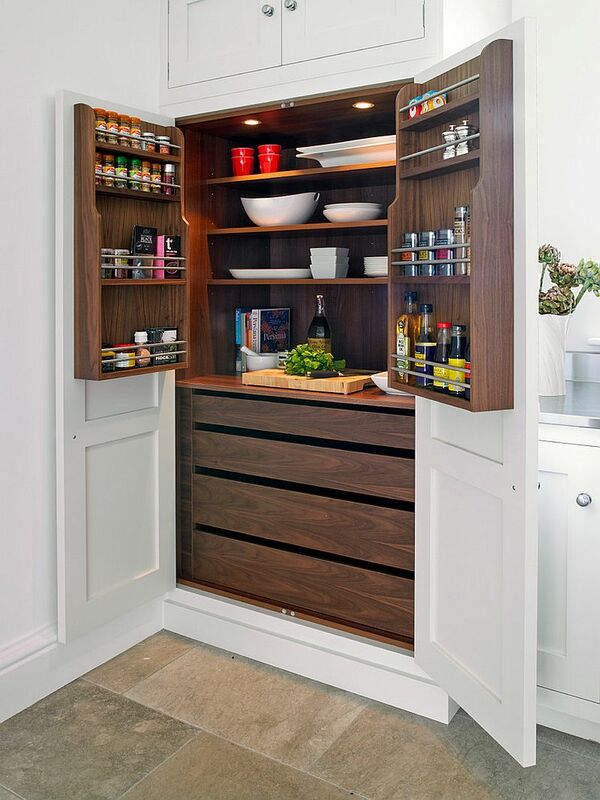 But an often under used and underestimated space is the kitchen pantry – a delight even in its tiniest form! 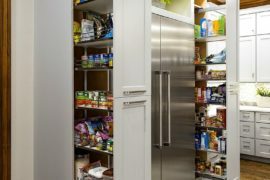 A pantry need not always be a space in itself; a separate room or spacious niche that is connected with the kitchen. 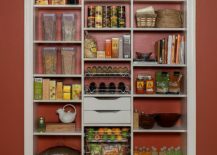 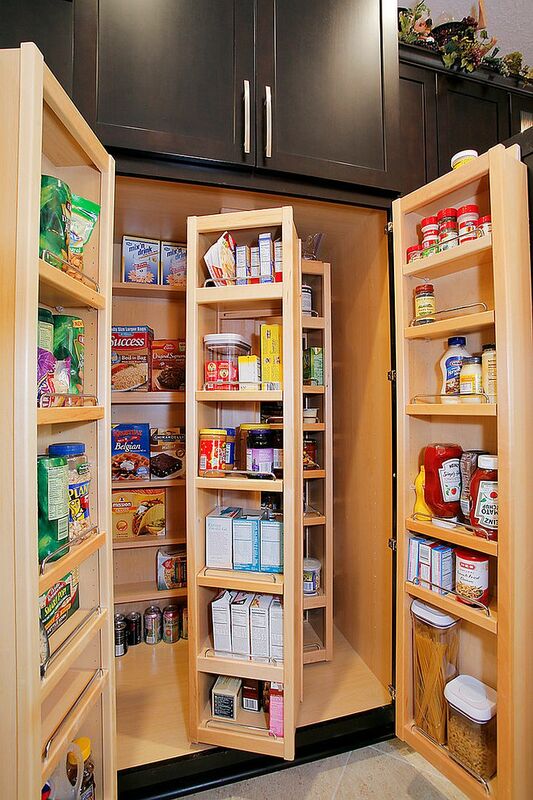 The small pantry can look much like your regular kitchen shelf but with a bit more volume and storage space. 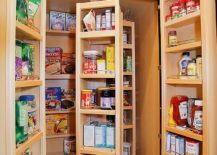 If you are a small family or live on your own, then you generally do not need a pantry much bigger than those shown below. 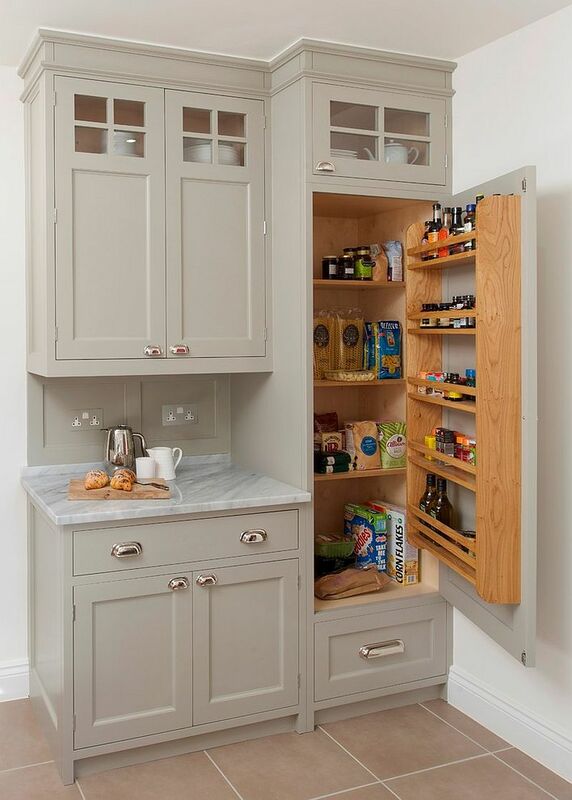 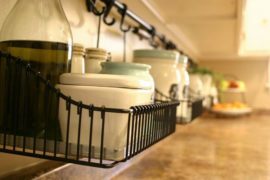 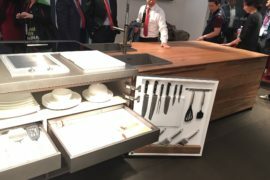 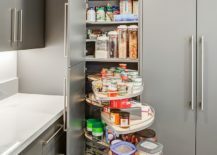 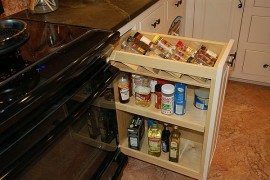 They can be easily integrated with your existing kitchen shelves by using similar doors and a lazy susan at the bottom of it should make it a whole lot more flexible. 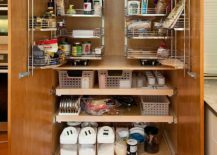 You can even earmark drawers for specific items to make the storage lot more organized. 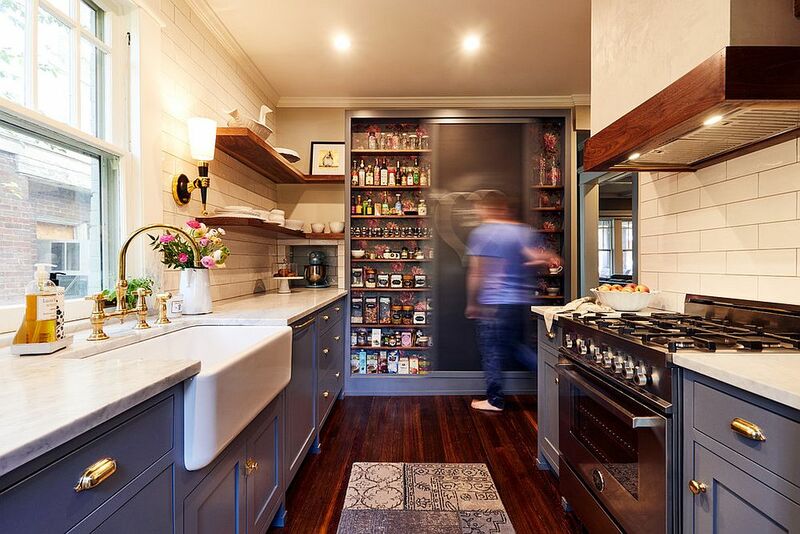 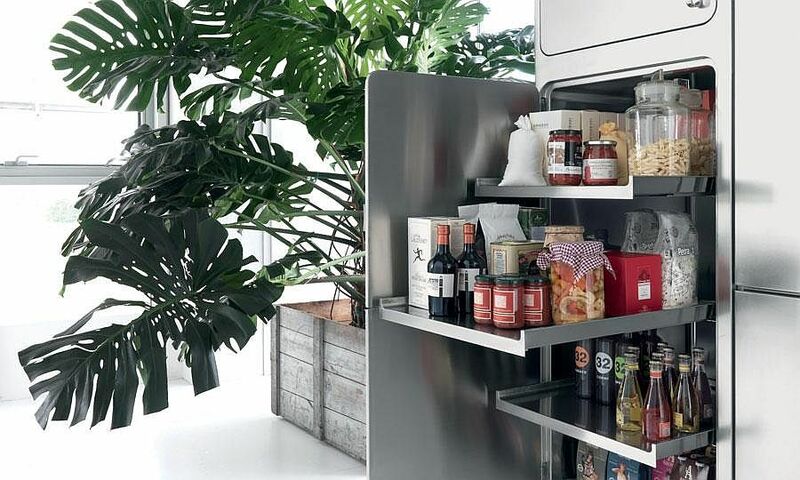 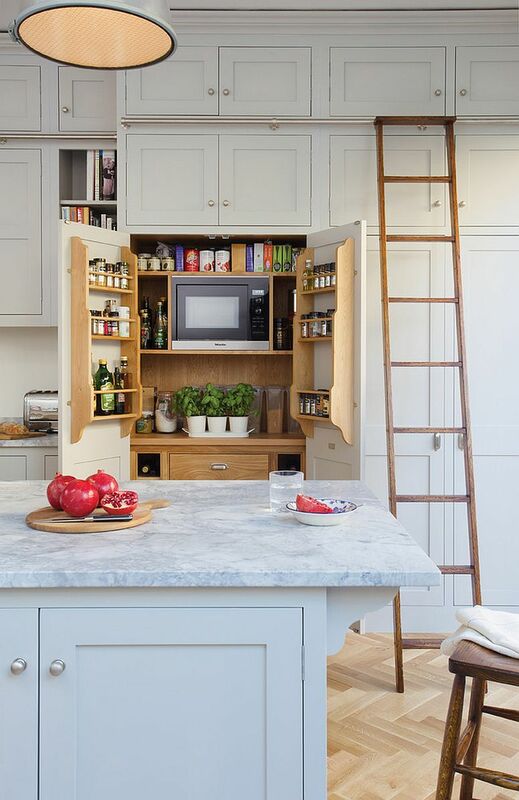 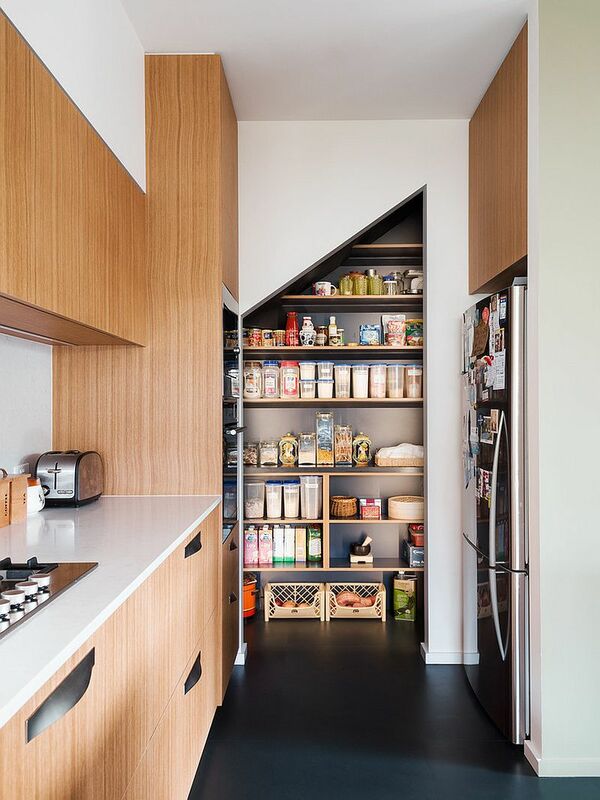 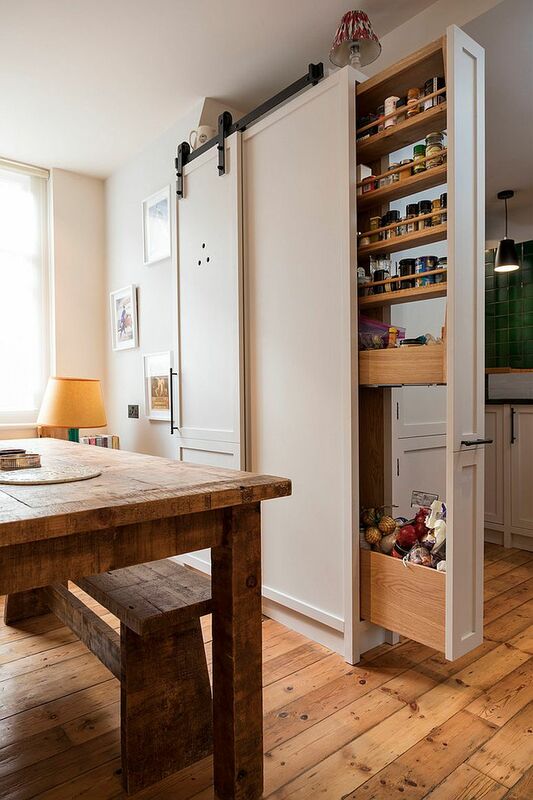 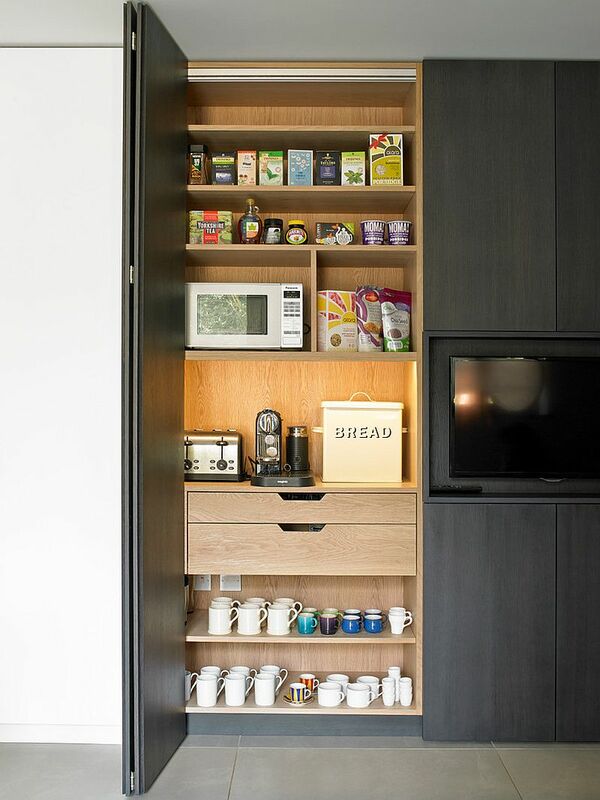 We love the idea of the slim pantry that slides out of the wall with ease. 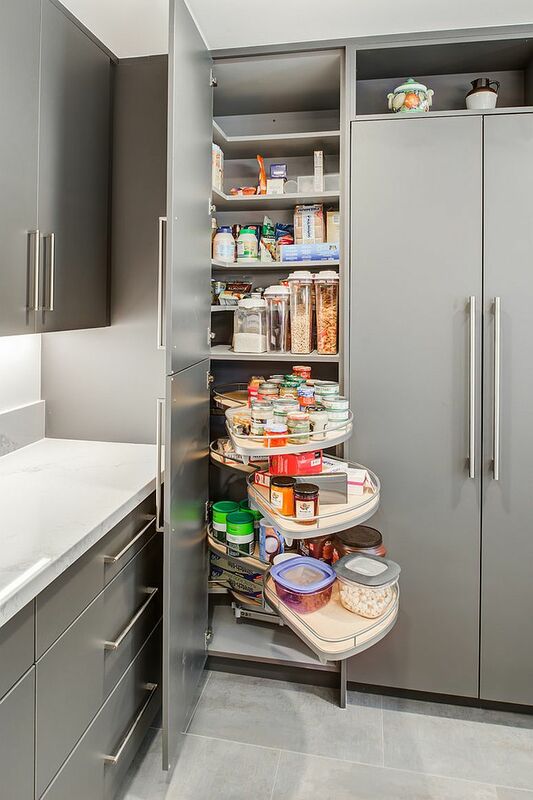 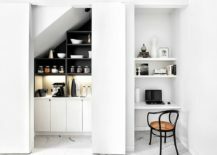 Modern storage units that can easily disappear into the neutral backdrop of the kitchen make the slim pantry a possibility. 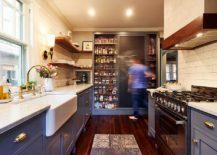 Some of these units utilize the vertical area on offer and others take the approach of maximizing space between two different cabinets. 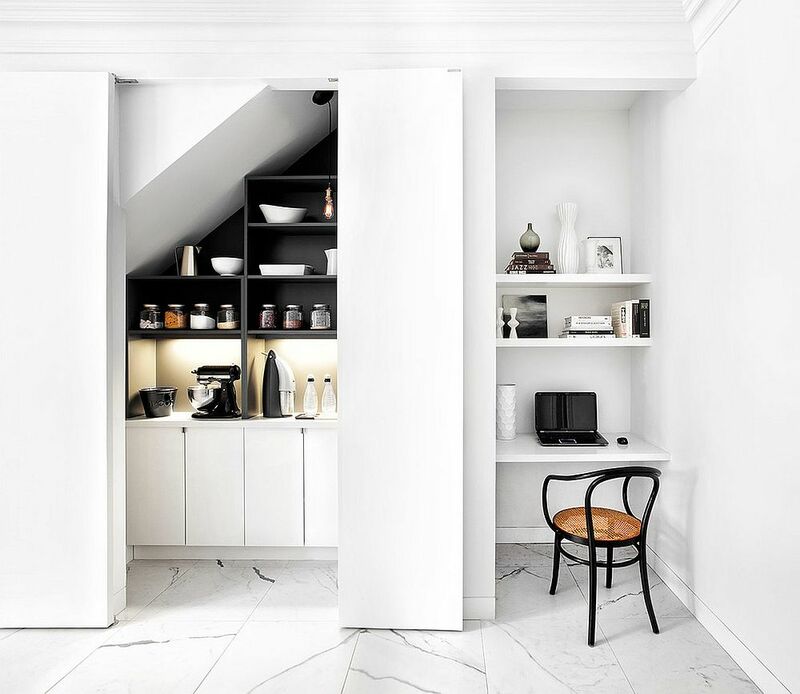 All you need here is the right slide-out unit, a niche in the workstation or the wall or just a series of wall shelves that can be morphed with ease. 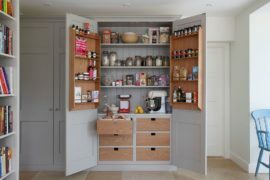 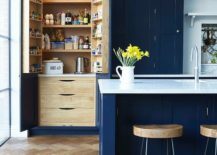 Chalk out a simple renovation project in your existing kitchen and soon you should have a smart, space-savvy and cost-effective pantry ready. 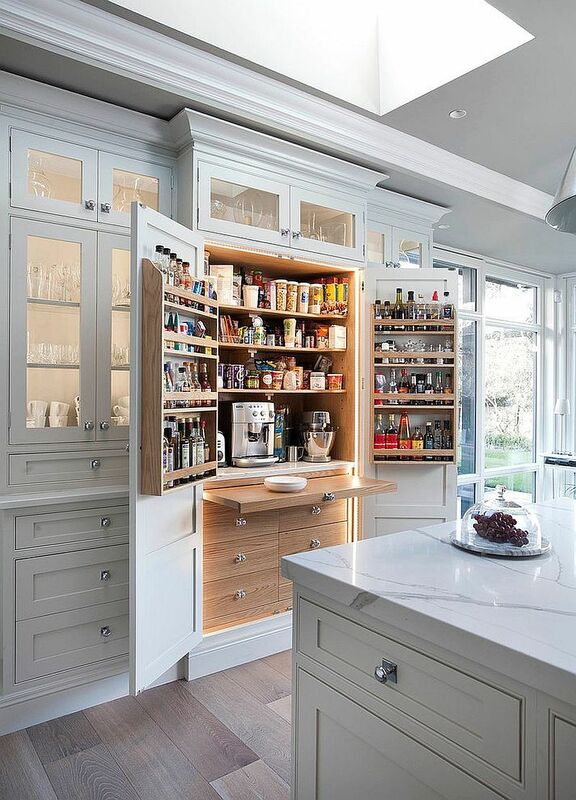 Modern traditional kitchen with a pantry that can be tucked away into the walls! 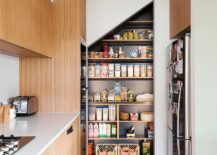 The small pantry can add plenty in terms of both color and contrast to the modern kitchen. 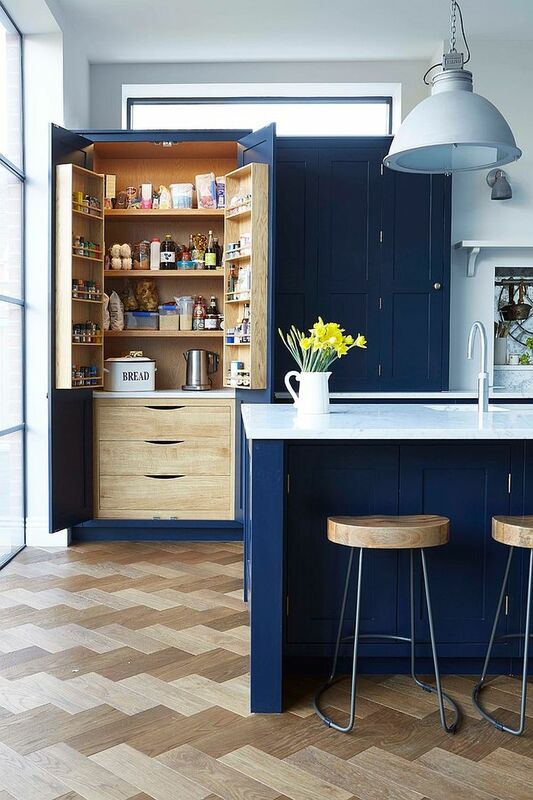 By keeping the kitchen neutral and giving the open pantry a bright backdrop, one instantly gives the space a lovely focal point. 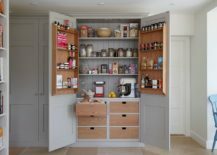 The tiny pantry door can also add additional textural beauty to the kitchen as you can choose between a wide range of variety and finishes. 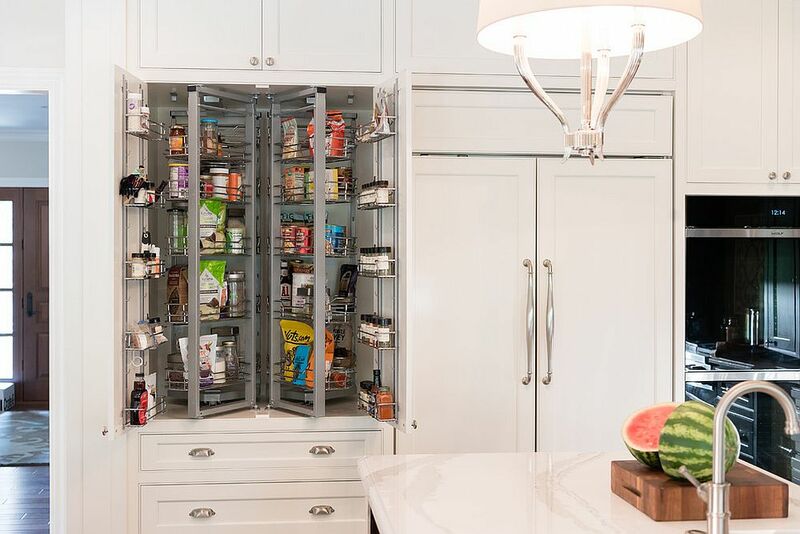 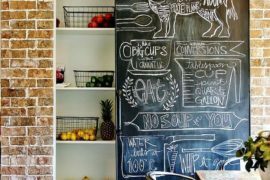 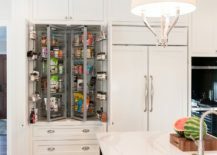 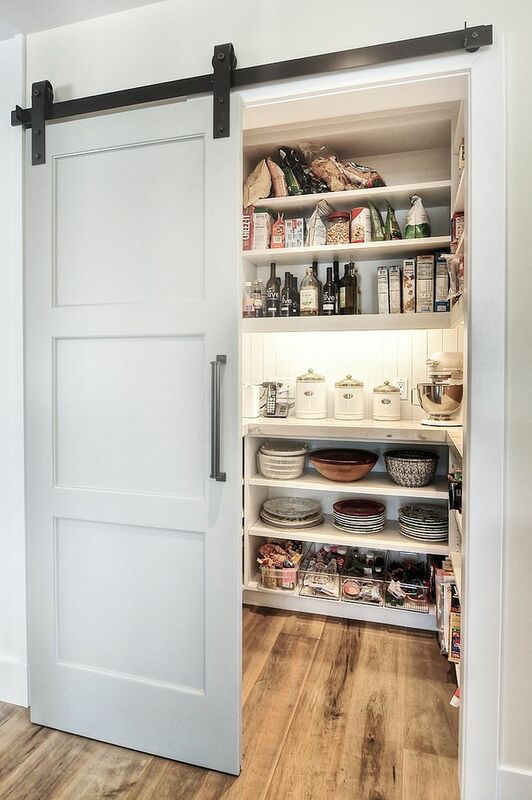 Be it the frosted glass door, the chalkboard pantry door, the sliding barn style door or the modern, colorful door, your choice depends on both the style that you are shooting for and the overall appeal of the pantry itself.